There comes a day for every artist when she must face a fresh canvas, or, for a writer, a blank page. I’ve learned not to fear that great wide emptiness, but to embrace it, and to jump right in. When I first started writing, I worried obsessively that I would run out of fresh ideas, or get things wrong. Now I’ve learned to trust the process. If I’m willing to put in the proper amount of time, strange and wondrous things will be revealed. This year, I decided to start writing an entirely new mystery series set in New Orleans. Why NOLA? That one’s big and easy (pun intended). When I attended Bouchercon 2016, I had a new female protagonist already in mind. I began to noodle around with the idea for the new series in the hotel bar, and I needed to find a stunningly good setting. Before that trip, I had been thinking about using Vegas, but after the spooky midnight vampire tour through the damp and puddly French Quarter, NOLA stole my heart. They always tell you to ‘write what you know.’ I have reached a grand maturity, and I am now ‘a woman of a certain age.’ I attended a recent workshop, and I was reminded to consider my audience as I write. That suggestion struck a magical spark. My readers are all ‘of a certain age,’ and we have our scars (and our bad knees and hips) to prove it. But we also have a deep well of crystal clear memories from the 60’s, 70’s, and 80’s that we wouldn’t trade for all the tea in China. That landscape is my private gold mine. I don’t need a metal detector to know where those 24K nuggets are hidden. Who needs historical research? I don’t. I lived it, and so have my readers. What comes next? My new protagonist Jane is only 31. I needed to freshen up my youthful hipster vocabulary for her to sound current. That mostly entails me lurking around my day job marketing department and listening to ‘the kids’ gossiping in Starbucks to pick up the latest slang terms, catchphrases, and trends. One of my secondary characters is an aging, reclusive rock star. Kenny Pascoe is more to my speed, and researching him gives me the license to attend anniversary rock tour concerts and to watch vintage YouTube videos of The Rolling Stones, Jefferson Starship, and Stevie Nicks. And then there are the stunning research surprises that I’ve turned up that I never knew before. I’ve discovered the story of backup singer Merry Clifton, who hit such incandescent high notes on Gimme Shelter that she suffered a miscarriage. Yes, it’s a tragedy, but it’s human and true, and that’s what great fiction is really about. Starting a new series also gives me an excuse to travel to new locations, and to fearlessly ask impertinent questions. I’m amazed to see the places I can get into or the behavior I can get away with simply by saying “I’m sorry. I need to do this. I’m a writer.” This phrase has super magical power. It is especially helpful when you are traveling with a companion or some family or friends who will roll their eyes at the remark, cross their arms, and say: “Yes, she is. Let her go,” as they seek official pardon and/or sympathy. When I think of that fearsome new blank page now, I consider it a license to thrill for both me and my readers. No, I don’t know the whole story, yet. What fun would that be, if I knew how everything ended? Starting a fresh manuscript is a gift that gives, twice. I get to enjoy the fun of exploring my brave new world with all of its surprising new characters, and its twists and its turns on my own, and then I get the pleasure of sharing it with my readers. What fun. 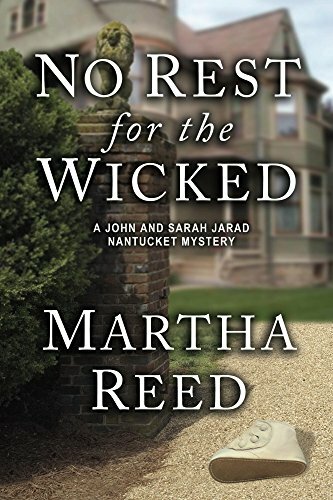 Martha Reed is the author of the award-winning John and Sarah Jarad Nantucket Mystery series. In NO REST FOR THE WICKED, Book 3, Detective John Jarad investigates Nantucket’s most notorious cold-case crime, the Baby Alice Spenser kidnapping of 1921. Sarah Jarad has a slightly different focus. She’s convinced that her control freak ex-fiancée Mason is on the island, seeking revenge. NO REST FOR THE WICKED is available in trade paperback and e-book format. It is garnering 5-star reviews. Follow Martha online at reedmenow.com, on Facebook, or on Twitter @ReedMartha. When I first decided to switch from contemporary romance to historical mystery I thought of a heroine who was an actress who becomes a Pinkerton agent. It made sense to me since she would be good at infiltrating different situations and get right in the middle of things. The idea seemed so fresh and I still believe it is, but I was surprised when I started my research and discovered that Allan Pinkerton hired the first female detective, the incomparable Kate Warne and that he hired several actresses through the years. 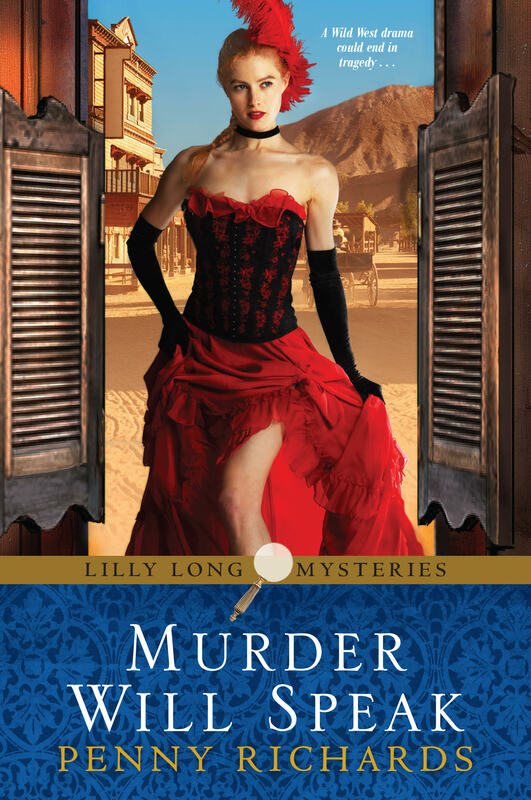 So what makes Lilly a different from other historical mystery heroines out there? First, she’s young. Twenty-two. And she’s a walking dichotomy. When I researched the theater, I learned a lot about the life of women who “tread the boards.” Raised in an industry where women were considered little more than harlots by the public they entertained, they were also some of the few women who were treated as equals to their male counterparts and were paid accordingly. Though it was a life of travel and different places, the nomadic life of a traveling theater actor was, in many ways sheltered, since they were never in one place long enough to put down roots or make lasting friends outside their fellow players. I’m a firm believer in strong backstory. We are the sum total of the events and people of our past have made us. Lilly is no different. When she hears her mother being killed by a lover, she is so traumatized she blots the memory from her mind. That isn’t the only scar left by the mother she loved so deeply. All Lilly’s life, Kate Long had a parade of men waltzing through her bedroom. Lilly doesn’t even know who her father is, even though she hopes it is the man who took her under his wing when her mother was killed. Fearing that she will be just like her mother, Lilly has always downplayed her looks and keeps herself pure until she marries. Four short months after the wedding, he attacks her, demeans her, and steals her life savings. It seems she does have her mother’s penchant for falling for handsome, smooth-talking men, after all. How do these old scars and new wounds affect her? Penny Richards has been publishing since 1983 with just over 40 books to her credit. Mostly contemporary romance, her books have won several industry awards, including a Romantic Times Lifetime Achievement Award and a RITA nomination, and have made many best seller lists. She currently writes the Lilly Long Mystery series for Kensington. Lilly is a Shakespearean actress who becomes a Pinkerton agent to help women who have been taken advantage of by unscrupulous men. The first book in the series, AN UNTIMELY FROST was awarded Best Historical Mystery of 2018 from the Texas Association of Authors. The third book, MURDER WILL SPEAK, takes Lilly to the infamous portion of Ft. Worth known as Hell’s Half Acre. MURDER WILL SPEAK is scheduled for release in April of 2018. I have a confession to make: This is not the blog post I thought I was going to write. When I agreed to do this, months ago, I thought I would have news to report about my next novel. Well, as we head into the homestretch of 2017, my news is this: I’m still working on the book. It wasn’t supposed to be this way. I even have a nifty pitch line for the thing — it’s a murder mystery set in two vastly different cities: the New York of the 1970s, and the New York of today. Of course, the pitch is one thing. The writing is something entirely different. I like working with people like that. As it turns out, that one seemingly simple suggestion has led to a total reworking of the book’s second half — kind of like deciding to paint the living room walls a different color and ending up with a gut renovation. I keep working at it and thinking I’m getting close to the finish line, but then something changes and I go back and rework some other chapters and pretty soon I have the feeling that I’ve been driving all day and have traveled about a mile. So I plug away and, despite my whining (let’s face it — this is totally a First World Problem), I believe that the manuscript is getting significantly better. Right now, my latest self-imposed deadline for the book’s completion is early next year, but I now understand why the Big Dig in Boston lasted more than a decade. In the meantime, the agent I talked to has switched employers. I’m not sure if this is good or bad. We are connected through LinkedIn. 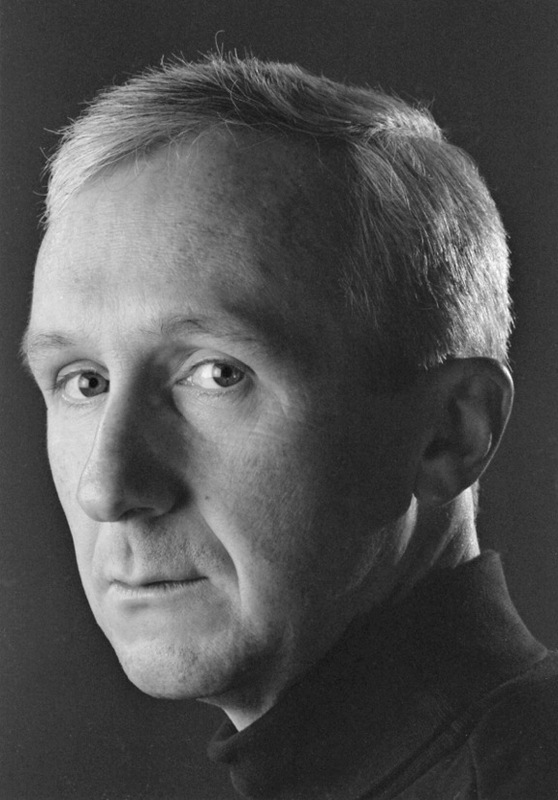 Nothing that has happened while I write the book, tentatively titled PUBLIC MORALS, is all that unusual for a writer who is not yet at the Grownups Table where powerhouses like James Patterson and Sue Grafton graze. In my younger days, I used to think the process would get easier once I gained more experience. I now realize that it won’t. While I remain focused on the writing, once the book is complete I will have to consider the twin devils of Selling and Marketing. 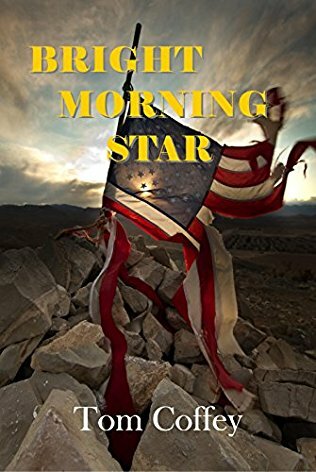 My last book, BRIGHT MORNING STAR, was published in 2015 by an independent operation. The book was a real departure for me and I was happy to get it out in any form, but the D.I.Y./entrepreneurial aspects of independent publishing are a bit daunting for somebody as Old School as myself. My first three books were handled by traditional publishers; I candidly admit that I’d like to make a little money from my efforts. My daughter starts college next year and, well, everybody knows what that means. And yet … I’ve heard about a well-regarded independent publisher who specializes in crime and mystery novels, and I know people who are happy with that publisher, and if I’ve learned anything over the years, it’s this: I am highly unlikely to get rich from my books. When it’s all done — and I do believe it will be done, eventually, somehow — I’ll be tempted to say something about the importance of The Process, and how The Journey is way more significant than The Destination, and talk about how much I have learned and grown and matured as An Artist. Actually, I don’t think I’m going to feel that way at all. I’m fifty-nine years old. How much learning and growing and maturing do I have left? Well, that’s about it from the trenches of Novel-in-Progress Land. But I do have one final thing to add. I intend to write a sequel. Tom Coffey graduated from the Newhouse School of Public Communications at Syracuse University and attended film school at the University of Southern California. He has worked as a reporter and editor for some of the leading newspapers in the country, including The Miami Herald and Newsday. Since 1997, he has been an editor at The New York Times. Tom is also a member of Mystery Writers of America. His first novel, THE SERPENT CLUB, was published in 1999 by Pocket Books and earned a starred review from Publishers Weekly. Pocket Books published his second novel, MIAMI TWILIGHT, two years later. In 2008 Toby Press printed BLOOD ALLEY, which also earned a starred review from PW. In 2015 his latest novel, BRIGHT MORNING STAR, was published by Oak Tree Press. Many people believe that a writer is a writer and that if you can do novels then you can write scripts, too. Some people can, but most cannot. Both need great stories, engaging characters and page-turning scenes, but the style, form and rules vary. The writer must understand the differences and know what you can and cannot do for books versus scripts. Myth #1– Screenplays are easier to write than novels. False. If you are doing it right, it takes as long to develop the characters, the research and the plot and subplots with all the twists and turns required. Myth #2 Writers of the books are paid handsomely for their rights. Often False. (Several writers have refused to sell the rights to their books because they wanted those large amounts and the independent producers – who you are mainly dealing with – seldom can afford this.) Many options these days, if not for free, are for the legal correctness of $1. Even if you are given a few thousand dollars as an option, it is only against a purchase price, which may or may not be what you expect and might hamper what you receive later. Myth #3 Hollywood is waiting for your book – False – This can be true but only if you can get the manuscript to the right people and it’s not easy to do. They mainly want books that have been major sellers with great word of mouth and from authors that have a large social platform. Studios these days are looking for major blockbusters and/or sequels. Even having a top actor sign on will not guarantee a sale. Myth #4 – Your work will be respected and you will able to make changes in the script. You will get final approval of the story. Usually FALSE unless you already have a major following and have a great contract beforehand. Even then…once you sell the rights, you are often pushed into the background. Obtaining the funds needed to produce the movie can be difficult especially if the story is historical or has expensive scenes as car chases, flight or sea action, battle scenes, crowd scenes, science fiction or other special effects. Few book writers take into consideration what will sell overseas versus what sells domestically but it is the foreign market that often weighs heavy on the sale of a script. This process can take not months but sometimes years. Writers (myself included) get impatient even for those of us who are aware of the timeframes. ` Both scripts and book need well-rounded characters with journeys and arcs that we want to follow. Good characterization is crucial for good structure. The reader must care about the character and want to see/ read the rest of the story so an emotional connection is needed for the story to be successful. Well-rounded means not all good and not all bad. A character biography is needed for each – even the villain. Characters should be introduced with action. Physical description is not always necessary. Genre structure must be what the audience expects. Understand the audience you are writing for. If combining genres understand each and know which genre is primary not only for the writing but for the marketing. Proper formatting for what you are doing is crucial for books, but especially scripts! Be careful of overused words like shrug, looks, etc. Write active, not passive. Don’t talk down to your readers. A rewrite is more than just a polish of a word here or there. Don’t believe everything you write is gold!! Be willing to change. Understand how to write a synopsis /treatment. Outlining helps for both. Really, it does. 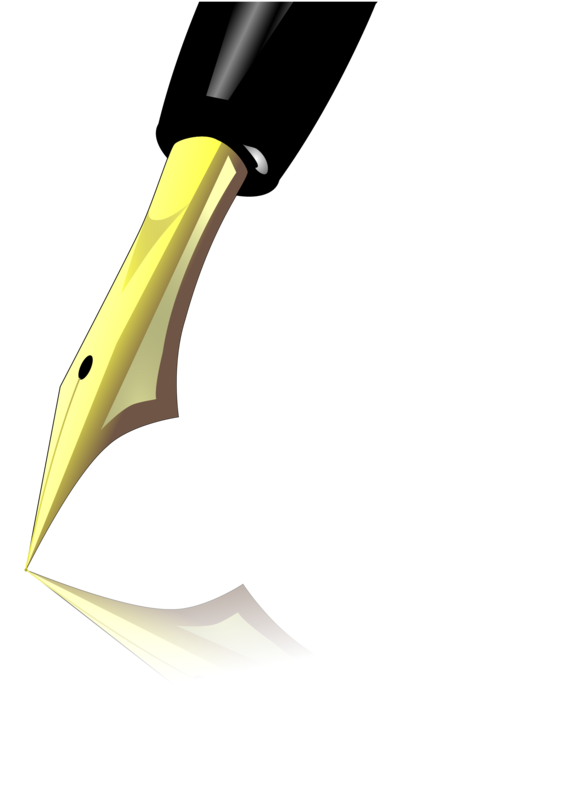 The first few pages are crucial – many readers, producers, editors these days do not read past page 10 and often can tell on the first page if you are a professional writer. One main point of view for audience to follow Can have several point of views. Even multi POV and antagonist. Less is more – no wasted words – very succinct. Use proper specifics but leave the stage dressing to designers How do you show things? Can describe rooms, clothing, etc at length (to a point) Can educate the reader but limited. More description ok including thoughts and feelings. Simplify characters – combine them; hop over obstacles. Condense time for more suspense As many characters as needed. Time extensions ok but be clear with time shift. Budget is important – think about scenes as locations, number of characters, car chases, use of animals, special effects. Historicals hard to sell. Can have as many special effects or sci fi as you want. Time lapse is fine as long as well explained. Special formatting programs like Movie Magic or Final Draft preferred. Understand script formatting Can be done on any computer program – double spaced and indented with page numbers. Attitude of character is more important than physical appearance. Physical appearance helps but attitude and action are important here, as well. Preferred if you are physically available for meetings but Skype can work at times. Network as much as you can – Hollywood is a relationship industry. Join various groups – as Women In Film, Stage32, WGA, Women Helping Women, Hollywood Networking, Breaking Into Hollywood, Roadmap Writers.com You can isolate and write where ever you are. Attending conferences and belonging to genre groups helps to meet editors, etc. Agents don’t necessarily sell your work unless you are already a big money maker for them. There are several sites where you can list your scripts and pitch directly to execs. Managers more helpful to guide you. Agents do sell your work and most publishing houses will not look at material without them. Self publishing difficult and still not regarded as professional. Managers are not always needed. 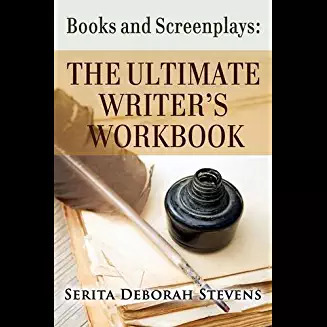 The author of The Ultimate Writers Workbook For Books and Scripts – Motivational Press which is available at http://www.seritastevens.com, Amazon, Barnes and Noble and well as regular book stores, I’ve written books, scripts, adaptations in almost every genre – usually whatever my agent gets me. I’ve taught writing at a variety of universities, colleges and conferences. As a forensic nurse, I often help writers with their poison, medical, forensic, and investigative questions for their scenes.